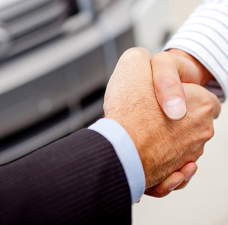 Delivering exceptional service to your customers hence increasing your profits. Boosting your customer loyalty and retention through cost effective programmes tailored for you. 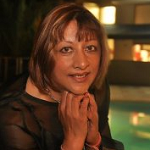 Director Shila Shah is a retail expert with over 30 years’ experience in store and general management. 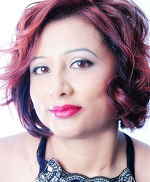 Passionate about customer satisfaction and retention, Shila has first-hand knowledge of the critical aspects of retailing, having honed her skills as a general manager of stores in London’s West End (Regent Street, Bond Street, Oxford Street) and the Brent Cross retail centre. During her highly successful career in retail, Shila set up and managed flagship branches for national retailers, recruited and trained highly motivated and effective sales teams, and mentored sales assistants for promotion to management positions. A Business Studies graduate, Shila also completed post-graduate studies in Development Economics. She brings business skills and entrepreneurial insight to the world of retail and business process outsourcing. Shila boosted turnover in every branch she managed, breaking sales records and leading her stores to become the retail chains’ best-performing outlets. Shila is also a qualified Zumba instructor and member of the Zin Network. “Shila worked as a manager for both the Shoe Studio and Vivaldi Shoes for some years. “A great manager, motivator, very good at managing staff, Shila always had a great capacity for watching and following up all the detailed things that need controlling. Naresna Shah, Operations Manager of Shinar Outsourcing, is an experienced customer and contact centre service specialist. Naresna studied Business & Finance and graduated in Business Studies at the University of East London, before embarking on her career in customer service management. This has culminated in senior positions in blue-chip companies – including Centrica and British Telecom – as well as the public sector. For part of her career Naresna was based in Asia, where she led the development of a customer service centre and as senior operations manager, was responsible for leading and coaching the site management team. Previously, Naresna was the successful education manager for an offshoot of India’s National Institute of Sales, where she led the development of 400 employees providing customer services to the UK market. Here her responsibilities ranged from developing action plans for process improvement to monitoring calls against parameters for soft skills, communication and compliance. Naresna combines her strong commercial understanding and expertise in customer service with the abililty to deal with clients at the most senior level.